Debut author and pro-life advocate Pam Tebow believes all women have influence. She writes about how to nurture and use that influence for Christ in her new book, Ripple Effects: Discover the Miraculous Motivating Power of a Woman’s Influence. She also shares about her family, homeschooling and missionary life. Chris Johnson: You're listening to Charisma Connection. I'm Chris Johnson. And today, Pam Tebow is my guest. She's the author of Ripple Effects, a book published by Tyndale Momentum. You may know Pam from a pro-life commercial she did with her son, Tim Tebow, that aired during the Super Bowl a while back. She's also won a number of awards, including a national pro-life award. She and her husband, Bob, have five children and eight grandchildren. I'm told there's one more on the way. So, I imagine she's kind of busy these days, aren't you, Pam? Pam Tebow: I am. I'm grateful to be busy. 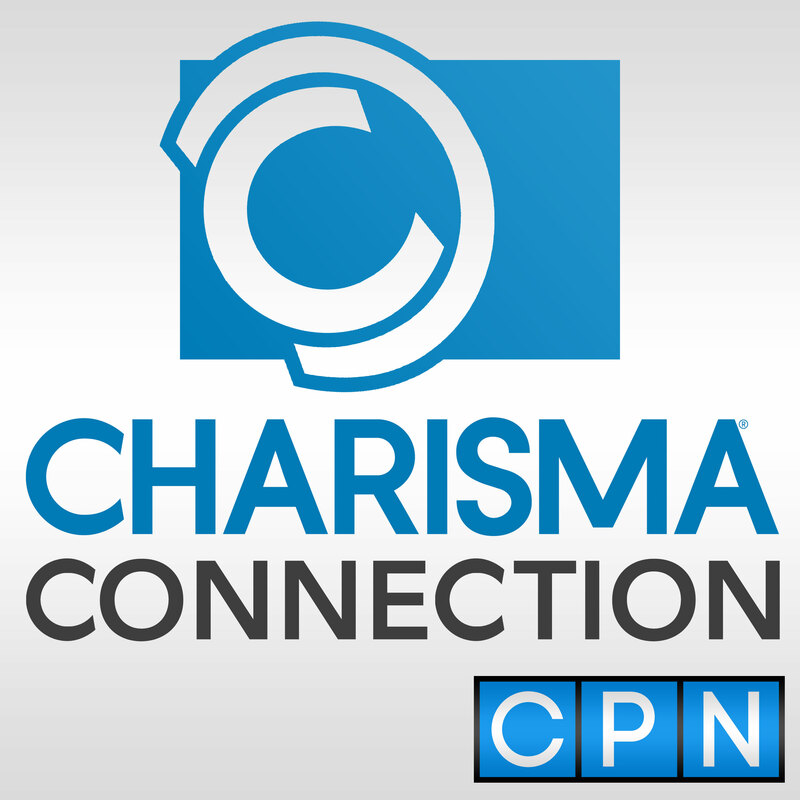 Chris Johnson: Welcome to Charisma Connection today. You have an excellent book coming out that I'm sure will inspire many women. It's called Ripple Effects. Where did you get that title, by the way? Pam Tebow: That's a great question. I have my oldest daughter and my youngest son both declare that they were the ones that came up with the topic. We were on vacation with all of our adult children. We were sitting around the table discussing the book, and they came up with the title, one of the two of them, so I'm going to let them fight it out and decide. But I'm grateful for that title because I think it really does describe what influences and that's what the book is all about. It's about how women have the potential to have great life-impacting influence. We impact one life, and then they impact someone else in their sphere. It goes on and on, and that creates ripples that go on and on. Chris Johnson: The book subtitle is Discover the Miraculous Motivating Power of a Woman's Influence. Influence is really another word for leadership, isn't it? Do you see yourself as a leader? Pam Tebow: That is such a great question because just last week, I spoke at a leadership symposium for women in banking in Mississippi. It was interesting that they would ask me to be their speaker, but they asked me because they felt like leadership and influence was synonymous. It was a great opportunity to encourage them because they were leaders, whether they were … one was a teller to a CEO. I had the privilege to be the keynote and speak at the end and encourage them that what they do in their job really does have an impact on other people. So, I think the two really do fit together a leader, even if you have one person under you, whether it's one child, or one husband or one friend or one classmate, or one employee under you, you lead them. You have a chance by leading them to influence them. I think the two really go together, like twins. Chris Johnson: The women who are listening to this podcast may be in all kinds of positions in life from traditional to non-traditional. Who did you really write this book for? Pam Tebow: I was thinking of all women in all seasons of life. My goal in writing included examples. I include a lot of women. That book isn't just about me. I have a lot of friends. It helps to be older because I've known a lot of people along the way. I use specific women … I just use their first names, but I use women as examples of leadership and influence. Whether they're young, like my granddaughter, or older, like my mother … my mother really got excited about her opportunity for influence when she was 70. My daughters and I gave her a 70th birthday party and she felt like her life didn't count. We gave her some examples of things that she could do to impact the lives of the people around her. It motivated her to get on the ball. She felt like when she died at 86 that her life really counted and she had an impact. She got up every morning with purpose because we gave her examples of things that she could do that were in the realm of her gifting, her season in life, her opportunities. I think that's true of all of us. We're all in different seasons of life and different opportunities. No matter whether we're young or old, we still have the opportunity as long as we can are still breathing to have a positive impact on the people around us. I love to talk about this subject, because I feel like it motivates people. We all want purpose. We all want a reason to wake up and have something to look forward to that's bigger than just start a job or a class or our home environment. We want to reason to keep on keeping on. I think that the purpose of influence gives us that reason. Chris Johnson: These are four words I don't often hear on a podcast … it helps to be older. So, I'm very glad. Pam Tebow: What choice do you have? I think it really does because you can have a bigger framework. That's true. Some people talk too soon or write a book too soon before they've had that framework. You know what I mean? Chris Johnson: I think that's true, especially when it comes to biographies. Seeing some people in their 20s or maybe 30s trying to write a biography and they haven't hardly lived it t seems like. Pam Tebow: That's right. It's funny, Chris, because you talked about being a missionary in the Philippines. We both were. But when I first arrived in the Philippines, I read a book by a woman who had a two-year-old and she was missionary in the Philippines. She wrote as if she had been there a year. She wrote as if she knew at all. I just had to laugh because her little frame was small. But I feel like we need to have a little bit more experience. But that's just my perspective. Chris Johnson: We're gaining it as we go along, right? For those who didn’t know, yes, I did work in radio with Far East broadcasting in the Philippines. So, Pam and I share that in common, our love for the Filipino people. So, you write about building blocks of influence? Could you detail one or two of those? Pam Tebow: I’ve been speaking on this topic for many years. I was trying to think back probably about 15 or 16 years. I love the topic of influence. So, I tried to think of how I could communicate the foundations of influence to women. And so early on, I began to think of what were the most important things that I could talk about that would encourage us in the area of influence. So, I have six. But the ones I thought would be fascinating for women are manuals. Obviously, we like manuals. No matter what ever we do in life, we need a manual for it. It seems like whether it's a cookbook or how to live the Christian life. When I first went to college, I knew one Bible verse, maybe two. So, I picked up God's manual for us, the Bible, and decided I need to learn it. I need to be faithful about being in it, especially if I'm going to be, at first, a college student, and then an employee, and then a wife and then a mother. It gets overwhelming. All of those responsibilities are so beyond me. So, I began to really study the Word. My husband had a lot of seminary classes and I took some too, but I don't think that's necessary. I think God’s manual, the Bible, is for everybody, whether you're young or old. So, I began studying it. Then I realized that if I had the responsibility to teach my children character and so much more that I needed to teach them God's Word. That was really the catalyst for me, to learn it and to want to learn it so well that I could turn around and teach it to them. When my oldest daughter was five, my husband gave an assignment to the men in his Bible study to have a Bible verse to a tune. So, every one of them I learned later gave that assignment to their wives. So, Bob gave that assignment to me and I put a scripture verse to attune. I realized that after I did that, we all remembered it. We didn't just remember it then, we remember it now. What's learned in song is remembered long. So, I started doing that with verses that we really needed. Boys fight, and when little boys fight each other, you teach them a verse about not fighting. When people complain, you teach them a verse about not complaining. When we first arrived in the Philippines, our first week, my husband left us in a missionary compound, which we assume was a safe place. And he went off to the island of Mindanao, somewhat primitive southern island to find us a home. So, the very first night that we were, all five of us … I had four kids at the time before Timmy was born. We were in one room, and a robber broke in. I watched him as he peaked at each of our kids. Then he grabbed my purse, took a few pesos out and left. He didn't cause any harm, but it did cause us to have fear. So, I thought, how am I going to combat fear? It was a very turbulent time in the Philippines, there were a lot of wars and coups. I'm sure you can remember that, Chris. Especially when we went in 1985. They were tanks that came down our street on occasions, and everyone carried guns and rifles. So, I made up a scripture tune to Psalm 56. I don't have a good voice. So, I want you to know that all of you who are listening, you don't have to have a good voice to do this. “When I am afraid, I will put my trust in you, in God whose word I praise, in God I put my trust. I shall not be afraid what can a man do to me. When I am afraid, I will put my trust in you.” At the time, my New American Standard Bible still had these. So, I could change that song. I taught that to my kids. I sang it to them over and over when they went to bed every night because I didn't want them to be fearful. You have to have courage to do anything in life, to do what God calls you to do, to try out for the team or the part in the play or a new job. I sang that to them for as long as they would let me sing to them when they went to sleep. One of the great joys of my life was when my two daughters and their three kids, three of our grandchildren were together after a birthday party about two years ago. We had a big day with a birthday cake and presents and game and craziness. Then my girls said mom, why don't you put them to bed. So, I did. I told them a story. They wanted me to sing a song and I sang them that song that I had sang to their parents. All five of them sang along with me. They knew every word. I went to my little room and scribed because that's what a ripple effect really means. I taught their moms that they didn't have to be afraid that they could put their trust in God. Then they taught that same song to their children. So that I realized it's more effective than I could have ever imagined. For the rest of the interview with Pam Tebow, please click here.